Wayne Hoggett: In-game XMB for PS3 days away? In-game XMB for PS3 days away? It seems as though Sony has found a sense of humour regarding the most requested PlayStation 3 feature. 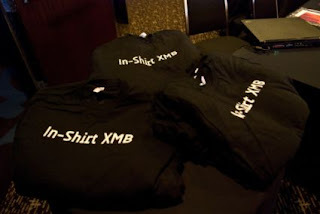 The have started distributing "in-shirt XMB" t-shirts at the Game Developers Conference. An insider claims XMB is coming real soon. According to the rumour, all current games will receive a patch and all future games will support in game XMB out of the box. According to the same rumour, Home is coming really soon, and all future games need to support Home's basic features.